It Works For Me. 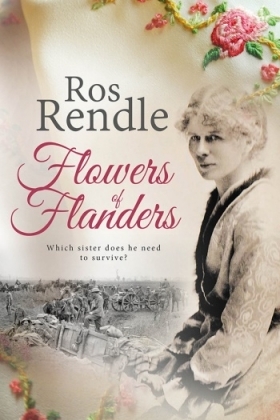 Ros Rendle Shares Her Personal Writing Rules. 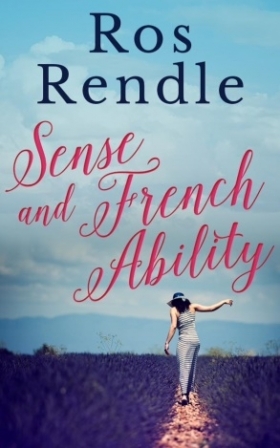 This week I am delighted to welcome Ros Rendle to my blog to talk about the "writng rules" that work for her... though when I first asked her to do this, it quickly became clear that that isn't quite how she sees it herself, as you can see from the title she chose for this piece. Rules . . . mmm. I should be hopeless in the any of the armed forces. I have no routine since retirement. And yet, of course, that’s not true. I get up at about the same time, walk the dogs etc. etc. It’s just that if my husband says ‘I thought I might pop round to the garden centre . . .’ I think ooo yes, that’s a lovely idea and my plans disappear. I’m not blaming him. It’s me. However, now that he has gained more retirement activities I find I’m more determined to follow mine. I tend to do ‘householdy jobs’ in the morning so in the early afternoon I reward myself with some writing time. Some days I’ll write a 1500 words and others maybe about 500 but it’s all progress. I always start by re-reading what I wrote the day before. It’s a minor edit too but the main purpose is to get me back into the story from where I left it. I’m not a major plotter but I always make myself write down a rough outline and allocate the number of chapters to each section, ensuring that by 25% or 50% etc. of the way through I have the correct structure in place – more or less. After that the plot and the characters tend to drive the story. At the end when I come to editing I’ll add whatever or take out the bits that detract. Taking out is hard of course but I’m better at surrendering those for good writing these days. My last rule is that related to research. My current series of books, and I’m on the second of three at the moment, is historical romance and so I am meticulous about research. It would be too easy to think that because I find it hard to find a fact someone else will too and so it doesn’t matter. It does. It’s not the major historical facts it’s the little things that matter and give a feeling of reality. People’s everyday eating opportunities in times of war, their clothes, of course, when a particular motor car became available and how much it was, what did ordinary people read, listen to, do. I may not use all the information. I’ve become aware of info dumping but it all gets me in the period. I’m writing currently about Vichy France in 1940 and there is a dearth of accurate information but I shall get there. So... having said I have no rules, actually I do and necessary they are to produce anything that is worthwhile. I relish the writing sessions I have, I take great satisfaction in the planning that I do and I delight in the research. 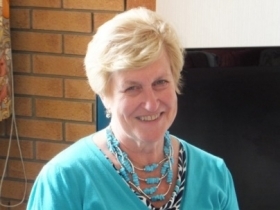 As a head teacher, Ros’s writing involved documents, essays and stories to which children enjoyed listening. Currently she undertakes the harder challenge of adult fiction. With married daughters and four granddaughters she shares many heart-warming times. Now, retired and returned from France after ten years, she loves it. Wendy, thanks for helping me end the day with a smile. Thank for commenting, Jen. This has proved to be a popular series and I am happy to tell you that the next writer to contribute will be Kate Field, whose debut novel, The Magic of Ramblings, was published recently. I am still chuckling at the idea that your husband might suggest a trip to the garden centre. That would be mu husband's idea of hell... B&Q for him! Much appreciated Rae. Thank you. To Jen, yes I remember. Maybe next year again?? I'm so glad this series is continuing, Susanna. I enjoy these glimpses of how other writers work. Interesting post, Ros, and I wish you all the best with your writing. We met (very briefly) at an RNA conference and it's lovely to hear how your writing career has developed since then. I think we all love our research, don't we, Rae? It is certainly one of the pleasures of the job for me. Thanks for sharing your thoughts. I know Ros will appreciate it. Lovely comments, Jan, Kate. Thank you. Writing and reading a blog is good. Great to hear how others do things. Jan, it's lovely to hear from you. Thanks for your comments. The wonderful thing about this occasional series about other writers' personal rules is that there is so much to identify with, as well as having the chance to pick up new tips and ideas. Kate, I completely agree with you. It's the small domestic and personal details that are the most fascinating. I love to find them in books and always try to include them in my own writing. Thanks for dropping by. I'm looking forward to reading The Magic of Ramblings - it is at the top of my TBR pile. A great post, Ros and Sue. :-) Thank you both! I'm always fascinated by other writers' rules. I particularly related to the part where you said you have no routine. Like you, I'm retired and am easily persuaded to make that visit to the garden centre with my husband or join him for another cup of coffee! I agree with your comments re- historical research. The major events are quite straightforward to find but it's the details that will make the writing come alive and become authentic for its era. Thank you Julie. I agree it's a very diverse thing. I find if I plot too tightly it detracts from actually getting to the writing which is dynamic in itself. It evolves through the characters. I agree, Julie. It's always interesting to see how other writers go about their work. Personally, I'm especially interested in hearing about the plotting side. Plotter or pantster or a bit of both - that's what I like to know. Thank you for your comment, Julie.